Exercise is important to health and wellness at any age, but it can be hard for aging adults to stay fit when they are dealing with age-related obstacles that may be slowing them down. Even seniors that rely on family caregivers and senior care providers for assistance with daily tasks can benefit from mild to moderate exercise. One type of exercise that is rapidly growing in popularity among seniors is dance classes. 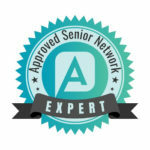 Senior Care Rochester NY – Are Senior Dance Classes Beneficial? What are Senior Dance Classes? Senior dance classes are specifically designed for elderly adults what have limited mobility, chronic health issues and age-related conditions. These specialized classes are managed by instructors that know how to help seniors have fun, socialize and get active. Senior dance classes welcome aging adults with all kinds of ability, and even have opportunities for those in wheelchairs. They can reflect a range of dance styles, from jazz and ballroom to square dancing and Zumba. What Health Benefits Come from Senior Dance Classes? Senior dance classes get sedentary seniors up and moving, and the health benefits are numerous. Aerobic activity like dancing boosts muscle strength and balance and increases coordination and flexibility. Exercise also increases heart health, energy levels, physical stamina and circulation. In addition, seniors benefit from regular exercise, which helps control appetite, lose weight and sleep better at night. Socially, senior dance classes give aging adults a chance to interact with others their own age, making new friends and working toward common goals. Even if aging adults are not very social, a dance class can often bring them out of their shyness. Studies show that social interaction can reduce the risk of isolation, loneliness, depression and anxiety. All in all, family caregivers should look closely at all the benefits of senior dance classes and locate one of their aging relative right away. When aging adults depend on family caregivers and senior care providers for assistance with day-to-day tasks, attending a senior dance class may seem like too much work or efforts. However, family caregivers that realize the importance of the classes to health and wellness should be working hard to figure out the logistics of attendance. Hiring an senior care provider can help with that, as many of them can transport the aging adult to and from the location. Most dance classes for the elderly are found in community senior centers, local dance studios, community and fitness centers and other similar organizations. Before assisting an elderly adult to dance classes, family caregivers and elderly care providers should check with a doctor and get approval first. Once they have the go-ahead, there’s no reason why elderly adults can’t enjoy senior dance classes, both for better health and more fun.